For many of the children we work with, whole childhoods have been spent waiting to be granted leave to remain with recourse to public funds. Often these are children who have been born in the UK and who have never even been to the country of their ascribed nationality. Many are supported by Children’s Social Services under Section 17 of the Children Act 1989 which requires the local authority to ‘safeguard and promote the welfare of children within their area who are in need’ in any ways that would be appropriate. This will include providing accommodation and financial subsistence if the family have no other means of acquiring either. Many families that we work with seek support from social services following expiry of a visa and then, sometimes years later, loss of work, relationship breakdown or the need to flee abusive situations that they have often entered into precisely because they are undocumented migrants, unable to claim benefits or work legally, and so forced to depend on whoever is willing to provide what they need, whatever the personal cost to them. Some children aren’t really aware of the power that their immigration status (or their parents’) has over their quality of life, but others know the words ‘no recourse to public funds’ and will talk to you about what they mean. They mean waiting to be able to afford to go swimming once a week, to not have to live in one room with their Mum and two siblings any more, to be able to get free school meals so their Mum can also afford to eat lunch, to have a table to do their homework at, to not have to walk everywhere. For their parents it can feel like years of their lives have been stolen, in which they haven’t been able to work or study, choose where they live, drive, where they’ve been scared to go to the doctor, years in which what it means to live for most of us is denied them. Added to the practical difficulties are the emotional, psychological and developmental effects of never having nearly enough (space, privacy, money, autonomy) and never having the luxury of being treated as other (British) people are treated at the most basic level; what isn’t good enough for them is somehow good enough for you. The long-term effects that this particular kind of stasis can have on adults and children is hugely significant. Talking to a seven-year-old boy yesterday about his life living long-term in B&B accommodation, he said ‘I’ve suffocated’. Under Homelessness legislation, families cannot be placed in B&B accommodation for more than 6 weeks. Families denied recourse to public funds, however, are exempt from the provision of Homelessness Assistance, and so consigned to the minimal support provision provided under the Children Act. As a result, they can routinely be left to live in a B&B for years, as if the reasons that make it unsuitable for a family to stay in for more than 6 weeks don’t affect them. Or as if it doesn’t matter if it affects them. Many of the immigration status applications with which ASIRT assists are submitted onthe basis of established rights to private and family life, with the consideration that it would be a breach of Article 8 of the Human Rights Act 1998 for them to be removed to their country of origin. In most cases this will be because they have dependent children under the age of 18 who have lived here for more than 7 years of their life and who it would not be reasonable to expect to leave the UK. This route to long-term settlement in the UK, however, takes 10 years. If a family is granted leave to remain on this basis it is most likely to be limited leave to remain, which is 2 ½ years. They then have to make the application again at the end of this period and twice more after that until they have been ‘legally present’ in the UK for 10 years, so four periods of 30 months, at which time they can apply for indefinite leave to remain. Each LLR application costs £933 per person plus a health surcharge of £500 each- unless you can successfully navigate the Home Office’s Kafkaesque fee waiver application procedure. So, should a family with no recourse to public funds approach the local authority as homeless with no means to buy food, the local authority has a duty under Section 17 of the Children Act to support the children by providing accommodation and financial subsistence for this family. However, if they then make an application to the Home Office and apply for a fee waiver as a result of their destitution, the Home Office is likely to suggest that the provision of section 17 Children Act support constitutes evidence that the family is not destitute, and so not eligible for a fee waiver. Generally, section 17 support rates are pegged in line with Asylum Support rates, which is to say around £36.95 per family member per week. The Home Office, therefore, is suggesting that a given applicant can reasonably be expected to save the £1433 required to submit their application from a total annual income of £1921.40. This would leave them with just £488.40 per year, or less than £10 per week, to spend on food, clothing, travel costs and the various other essentials of daily life. This, of course, leaves them in effective destitution. Research by the Joseph Rowntree foundation found that the minimum income standard for 2017 in the UK is around £207.13 per week for a single adult of working-age (not including housing costs), and that those receiving out-of-work benefits receive around 36% of this. Individuals with no recourse to public funds supported by Children’s Social Care therefore receive around 18% of this minimum income standard: yet Home Office policy is that 74% of that basic subsistence allowance can reasonably be expected to be spent on an application for leave from which the Home Office will make an 800% profit, as a recent analysis by the Guardian found. ‘Sakhi’ is a 13 year old boy we have been working with for the past 18 months. Last year, we managed to registered him as a British citizen, with the support of the National Zakat Foundation, who funded the application costs. He was born in the UK and has spent the duration of his life here. He had therefore been eligible to apply for British citizenship since his tenth birthday, though none of the solicitors his mother had got herself into debt to instruct had advised her of this fact, instead allowing her to continue spending 15 years navigating the asylum system. We assisted with the submission of the citizenship application, and subsequently assisted his Mum, ‘Aisha’, who is Tanzanian, and his two older sisters ,who live independently, with their leave to remain applications. In May, all three were granted limited leave to remain for 2 ½ years. Although incredibly relieved, Aisha was immediately concerned about the end of the 2 ½ year period and having to go through applying and potentially paying all over again. Her social worker expressed frustration with Aisha’s ongoing anxiety, and repeatedly told her that she ‘should be grateful’- apparently not recognizing that what the family had been granted was simply something to which they had been legally entitled, but denied, for a number of years. And immediately after notifying the social worker that leave to remain had been granted, Aisha was given notice of termination of her family’s section 17 Children Act support in three weeks (28 days from the date of the Home Office decision), and that she was required to vacate her accommodation in two. So she was given three weeks in which to get a national insurance number, open a bank account, apply for and start receiving Jobseeker’s Allowance, Child Tax Credits and Child Benefit and secure alternative accommodation. What followed was a predictably soul-destroying odyssey through the benefits and social housing systems, which aren’t set up to be able to deal with all of these things at the same time and which do not have an adequate and systemic understanding of immigration statuses and the rights that come with them. First, Aisha tried to request a National Insurance number by using the contact number that is stated on the gov.uk website for doing so. She was asked why she wanted one and said that she needed it to apply for child benefit. She was then advised that you cannot request an NI number in order to apply for benefits, but that it would be generated as part of the benefits claim. She then tried to apply for Jobseeker’s Allowance online, but couldn’t without a National Insurance number. We called and made the claim over the phone and an appointment was made for her first face-to-face appointment the following day. On the morning of that appointment, we went to 3 banks to try to open an account so account details could be given to the Job Centre. Aisha was unable to provide the approved proof of identity or proof of address documents that were prescribed, which were, variously, a passport, confirmation of benefits letter, tenancy agreement or utility bills. For over a year Aisha and Sakhi had been supported by Birmingham City Council’s Children’s Services who provided accommodation and dealt with utilities; there was no tenancy agreement and there were no utility bills in Aisha’s name. Aisha had official Home Office letters confirming her address and that she has been granted leave to remain, but this evidence is not on the list of permitted proofs. She does not have a passport but does have a Biometric Residence Permit. This is also not on the list of permitted proofs. She had a letter from the local authority confirming that they had been supporting her. This, too, is not on the list of permitted proofs. We went to the Job Centre appointment and asked about a post office account, which we had been told could be opened as part of the claim. She was advised that post office accounts don’t exist anymore. They were able to continue with the claim but warned that without a bank account it would not ultimately be able to be processed, since there is no alternative way to pay out benefits. They went through the rest of the interview and Habitual Residence Test, which was confused by Aisha not being a refugee but having leave to remain, a distinction that they weren’t familiar with and which took some time to explain, even with the Home Office confirmation. Aisha was told that she would have to return to the Job Centre every day for two weeks initially and that the claim would not be able to be decided until they had bank details and a National Insurance number. In straightforward cases there would be a payment in about two weeks, but they advised that that would be unlikely in this case. There was more confusion about how Aisha would get her National Insurance number; the person she saw told her she should ring to request one. Aisha advised that she had tried to do that but had been told that it would be generated as part of the claim. The worker had tried to clarify with various other colleagues: no one was clear. A manager finally confirmed that a notification would automatically go to a National Insurance number team at the Ladywood Office who would then invite Aisha to an appointment to apply for a National Insurance number. Aisha told the advisor that she was expected to move within the next week, and asked how best to notify the Job Centre of that and whether it would affect her claim. She was told that it would be really beneficial for her if she could move after the claim had been decided, because then it would just be a matter of asking her to attend a different office every two weeks, but a move while processing the claim is likely to slow it down significantly. We called the social worker about this as soon as we left, to explain that if Aisha had to move while the claim is being processed it will delay any payment, and that if she could be allowed a few more weeks in her property, she should hopefully have a decision on her application and some income before she moves. The same day we went to a credit union to try to open an account, as they were less stringent with what they’d accept as proof of ID and proof of address. However, because of the type of account they offer they did need a National Insurance number, which Aisha couldn’t provide. For the next few days Aisha went to the Job Centre every day as advised. Then the family were moved into a hotel 5 miles away from where they had been living and 6 miles away from Sakhi’s school. They had a week’s worth of money (£73.90 between the two of them) and would not be getting any more from social services. Aisha went to the Job Centre to update them with her new address. They were able to give details of her new Job Centre and an appointment was made for her the following week. She still had not received anything about an appointment to get a National Insurance number but was told that they wouldn’t be able to see anything about this on their system. Without an NI number they also could not tell her when a payment was likely to be made. One of her daughters had managed to open a bank account so she provided these details for her claim. We attended the appointment at Aisha’s new Job Centre and she went through the same process that she had at her initial appointment, providing all of the same information again. 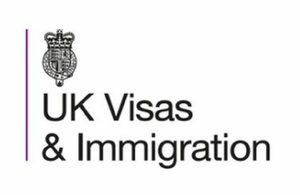 There was again confusion about her immigration status and no further information about the progress of the National Insurance number application, though that team were based in the same building so we were signposted to go and see them after the appointment. Aisha explained that her social services support had now stopped and so she had no income whatsoever, and asked about getting an emergency payment. She was told she’d have to call a specific number to ask about that, and that they couldn’t issue an emergency payment at the office. We called this number and were advised that without a National Insurance number, no payments could be made. Aisha was signposted back to social services, or to a foodbank. We went downstairs to the NI number department and Aisha was asked whether she had an appointment; she explained that she did not, but that she had been expecting to be offered, one but had not been contacted. She was told repeatedly nobody could see her without an appointment. She patiently explained that she’d been desperately trying to get an appointment, but at this point had no idea how she was meant to go about it, having done everything she’d been told to do to get one. They were able to make her an appointment for the following day. A ‘how many days since the last accident’-type sign on the wall told us that it was currently 6 weeks’ wait for generation of a National Insurance number, following interview. We called the social worker, explained that the Job Centre were unable to provide any urgent payments or to advise when Aisha would be likely to receive her first payment, though she might not even have her NI number for 6 weeks. We asked whether social services would be able to extend their support as a result of the fact that Aisha’s application had been so delayed through no fault of her own and despite the fact that she had applied in good time. The social worker refused, saying that the policy is to end support 28 days after a positive Home Office decision and that this policy had been followed, allowing Aisha ample time to get alternative provision in place. Ultimately the local authority no longer considered Sakhi to be a child in need, since Aisha now has recourse to public funds. The fact that she was entirely powerless to access any such funds was immaterial. We reiterated that there was nothing Aisha could have done about the benefit delays, and that the fact remained that Sakhi, a 13 year old boy, would be unable to get his four buses a day to and from school without some form of income, and that the family had no food. Aisha suggested that she could pay back any money that social services agreed to provide from this point on, since her Jobseekers’ Allowance would be back-dated. The social worker said she would speak to her manager about this possibility. This request, again, was refused, although a foodbank voucher was offered. When Aisha pointed out that her son would struggle to pay his bus fare with a foodbank voucher, her social worker advised her to ask the school for help with travel costs. So, we spoke to the school. They could not cover travel costs. They sent Sakhi home with a form to apply for free school meals and a bus pass, for which Aisha had already applied and been refused. While she was now eligible for public funds, she still wasn’t actually in receipt of any of the benefits that make you eligible for free school meals or assistance with school travel costs. Sakhi had been made to change schools six months previously, when the family was moved from Birmingham to West Bromwich. The form he was sent home with now was a Sandwell Council application form. But although his school remained in Sandwell, he had been moved yet again to Birmingham. Sandwell are therefore not responsible for his free school meals or travel costs. We contacted Birmingham City Council’s equivalent team, who advised that there was a 5 week processing time for these applications, so that it would not realistically be assessed until after the Summer holidays even if submitted on the day of our enquiry. We fed this back to the social worker, who continued to refuse any further subsistence payments, and advised that Aisha should apply for Sakhi to move schools yet again to one ‘closer to home’. But ‘home’ was emergency accommodation, one room in which Sakhi had to share a bed with his Mum for a while because his had bed bugs. Enrolling with another school in the area at this point didn’t make much sense considering they had no idea how far away from it they’d be placed next or when. Sakhi was falling asleep in class. We got some sanitary items and a food parcel for the family and they were able to pick a few items themselves, but most of what they were given Aisha said Sakhi was unlikely to eat. ASIRT gave them a hardship payment to pay for Sakhi’s bus pass and liaised with the school again, who said they would cover the cost of school dinners for Sakhi until the end of the year. So, a family, lawfully resident in the UK, and including a child with full British citizenship rights, was left dependent on charitable support. ASIRT sent a pre-action letter to the Department for Work and Pensions requesting a payment within 7 days as a result of the family’s destitution, and the fact that the social services letter confirming when their financial support would stop had been provided at every Job Centre appointment. Aisha finally received her first Jobseekers’ Allowance payment and NI number on the 19th of July 2017, having applied on the 5th of June 2017. Financial support from Birmingham City Council ended on the 15th of June, and so the family was left with no income whatsoever for over a month. Both Birmingham Children’s Services and the Department for Work and Pensions were made well aware that Sakhi, a 13 year old child, and Aisha had no means of buying food, toiletries or clothes, paying for travel or any other necessities during this time. We kept both agencies well aware of what was happening. ASIRT wrote to Birmingham Children’s Services numerous times to keep them abreast of the situation and to encourage them to rethink their end-of-support policy and its reasonableness considering the very foreseeable delays that occurred for Aisha and Sakhi – or at least to realise the flexibility already written into its policy on working with families with no recourse to public funds. There was no response at all to our last 3 emails. At the start of August Aisha and Sakhi were moved from emergency hotel accommodation into temporary accommodation in a two-bedroom flat. Birmingham City Council’s Homeless Team made a positive decision on their homeless application and we tried to register with Birmingham Home Choice to enable Aisha to bid on permanent properties. We managed to apply to register, but this needs to be assessed before Aisha will be able to bid. There might be some barriers to this too, as there was no option to select her particular immigration status. When we called recently to check on its progress we were informed that they’re still assessing applications from April at the moment, so that Aisha’s, submitted in July, would still be a while. Sakhi doesn’t want to change school again. He has said that unless he can go back to the school that he had to leave six months ago, he’d rather keep taking the two buses to and two buses from his current school than be new somewhere else. His previous school is 3.1 miles away from where they’re currently living and his old head of year told us previously that they’d happily re-enroll Sakhi if he was settled within a 3 mile radius. We’ve contacted them to ask whether 3.1 miles could be acceptable in the circumstances, though the fact that this accommodation is only temporary might also affect their decision. This, then, is how we treat families with British children, recognised as lawfully present in the UK. ‘Othering’ doesn’t stop; you are still not able to access the things that you have rights to as easily as people who have never had to ‘apply’ for those same rights, where they’ve just existed and have always been respected. Sakhi is British, has lived in the UK for all of his 13 years, has never left even for a holiday, but being British in the most insidious part of our collective cultural psyche doesn’t actually mean just being technically and officially British, it means being white, it means having been born British, it means both of your parents also being British (…and white and born British) etc. etc. A British citizen child whose parents have no recourse to public funds still cannot access social housing or most mainstream benefits. Our rules mean that it was beneficial for Sakhi to become a British citizen to secure his right to remain here, and that creates a distinction between him and a kid in exactly the same situation without citizenship, placing Sakhi higher; it’s an actually meaningless but ideologically potent and pervasive value system, that is worked into all of our structures. Although not all of the delays that Aisha experienced will happen in all cases, this is an essentially routine experience for undocumented migrants seeking settlement. There will continue to be these aggressions; suspicions that you’re lying about your entitlements, experiences that prove that your wellbeing is still not quite as important, systems that do not allow you to exercise your rights. Aisha stayed relatively calm throughout all of these processes, through every half an hour or more on hold, every three hours spent at the Job Centre repeating information she’d already given, every conversation in which she was told there was nothing social services/the DWP could or would do, and had the buck passed back to the other guy. From the perspective of Children’s Support Worker, I was regularly apoplectic and trying to remind myself that for the most part it was never any individual’s fault, but I was aware that I also have the privilege of being able to get angry. Aisha simply does not. She has been aware for the 19 years she’s been in the UK that she has to be a good immigrant, that anything she does could jeopardise her position and that includes becoming totally rightfully furious about the disrespect with which she is routinely treated. As well as feeling understandably ground down and used to it all, she has never felt safe enough to be able to scream about what all of this has done to her or to her son. With only the security of 2 ½ years’ stay and the creeping depression caused by all of this, she is unlikely to now. This is what a hostile environment looks like. Can anybody tell us it’s worth it?